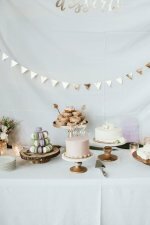 20 DIY Baby Shower Party Favor Ideas That Will Not Get Thrown Away! 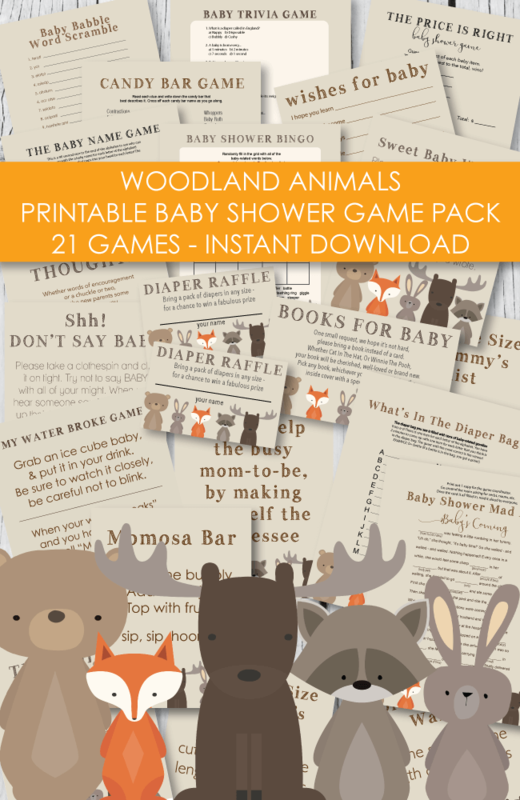 Handing a baby shower party favor to each guest as they leave is a sweet gesture. It shows that you are thankful that they came. 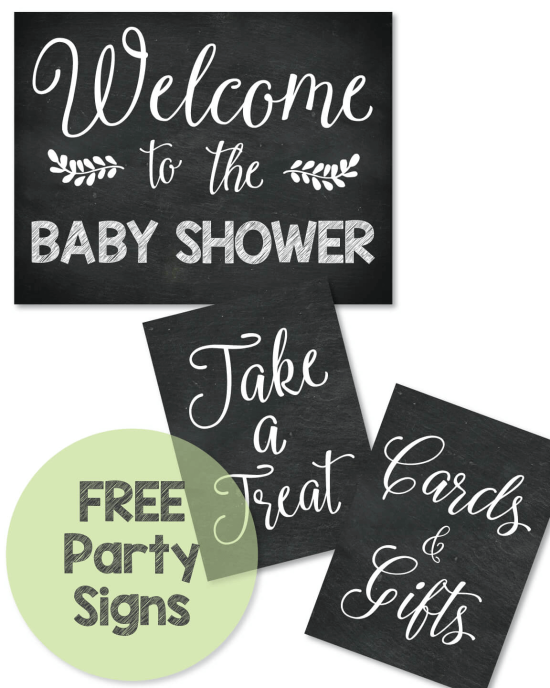 Many times baby shower hostesses go to all of the work of planning out what to hand out as favors, they go and buy the supplies, and guests just end up tossing them when they get home! We are not going to let this happen to you my friend! The work you put into creating baby shower favors is going to have guests thinking you're a crafty genius! 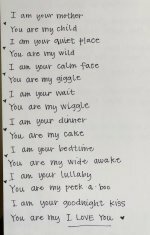 Below are a slew of sweet "thank you's" to impress your guests! Always remember, simple is best. No need to go overboard. 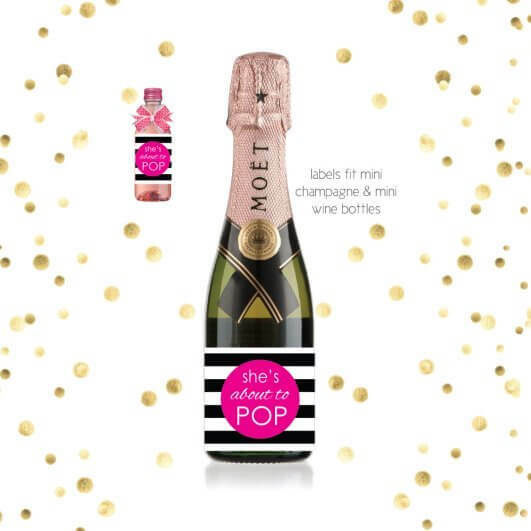 Party favors don't have to be expensive to look cute! So get your "scrolling finger" ready - there are a bunch of ideas to see! 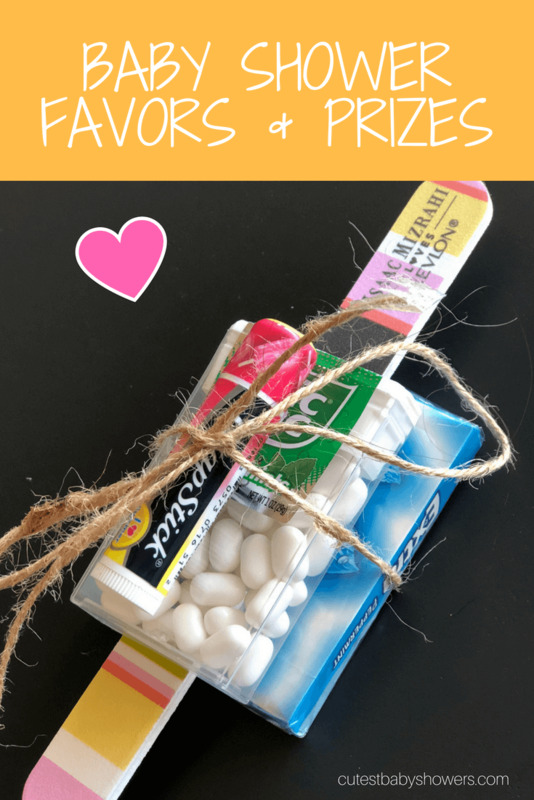 You'll find favors you can buy and also cute baby shower favors you can make! 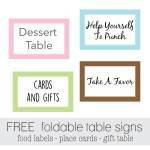 Be sure to scroll all down the page to grab some FREE printables! They come in both blue and pink and have different sayings on them. Click on picture for the scoop. 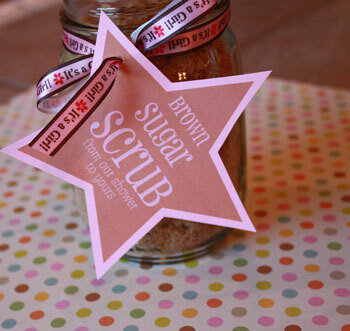 I made some FREE printable favor tags for you that say: "Brown Sugar Scrub - from our shower to yours!" If you are looking for handmade baby shower favors, these cute brown sugar scrub jars are perfect! 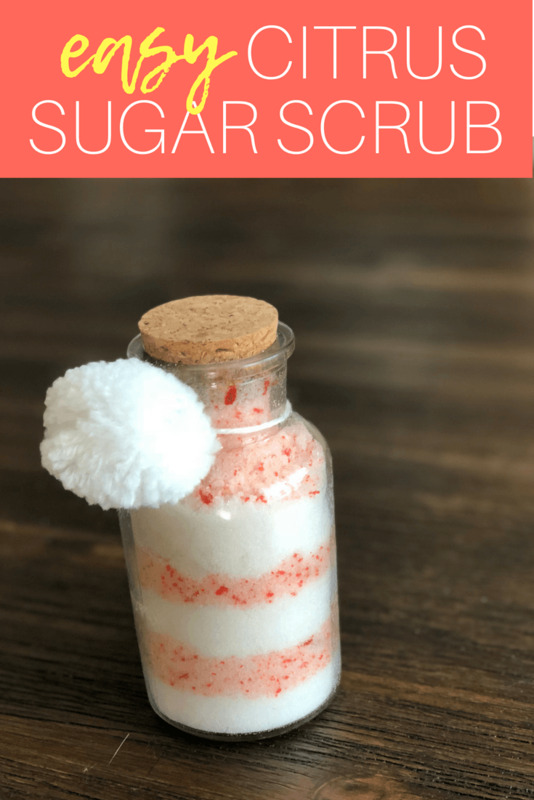 Have you ever purchased sugar scrub in department stores? It can cost a fortune! This version is affordable to make and the results are wonderful! Sugar scrub is a favor that every guest can use and their skin will be so silky and soft after using it - people will be begging for more! Stir all of the ingredients together and that's it! So easy! In the picture, I used a large Mason jar but using a smaller jar may make more sense if you have a large group and need to make several party favors. 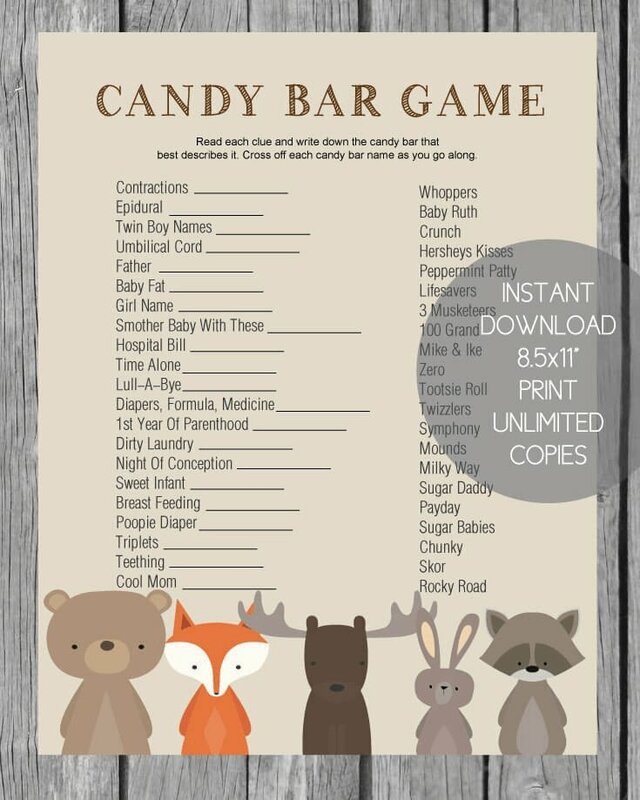 These also make perfect baby shower prizes! 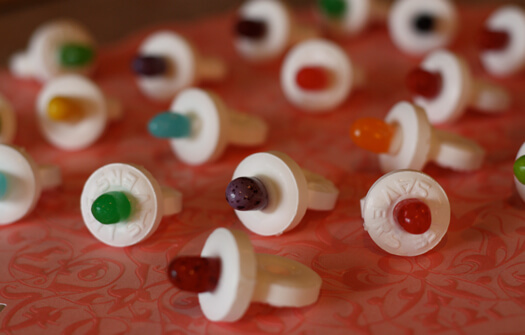 If you are looking for an easy baby shower favor that guests will love, these candy pacifiers are perfect for you! Simple and quick to make - and won't cost you a fortune! Click here for step-by-step pictured instructions. You can also play a baby shower game with these by stringing yarn through each one to make a necklace. Tell guests they cannot say the word "baby" if you hear someone say it, you can take their necklace. The person with the most necklaces at the end of the shower wins a prize! 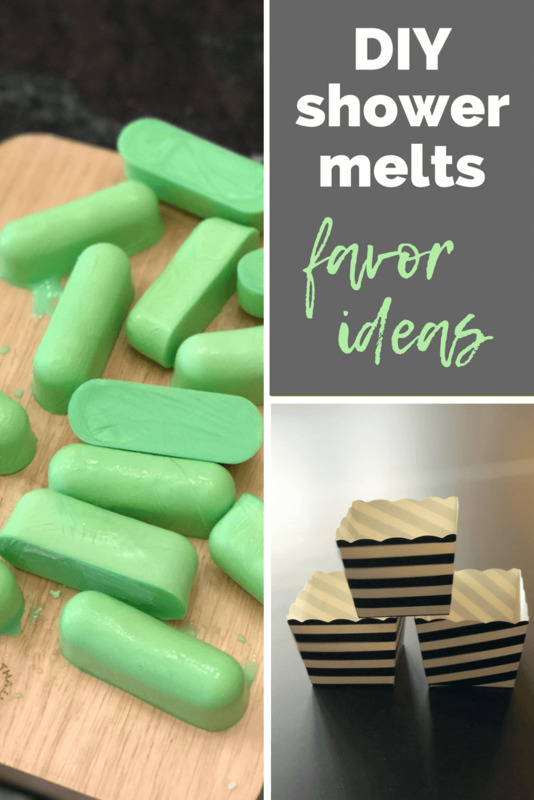 Hop over to see an easy, DIY Baby Shower Mints Recipe - The most delicious mints you have ever tasted - butter, cream cheese, powdered sugar - YUM! NEW! Click on the pic to be taken to this fun and festive citrus sugar scrub recipe. With matching FREE printable citrus favor tags too! Amazon - they have 100's of cute favors for a discounted price - and most offer free shipping with a Prime membership. WholesaleFavors.com - we have never shopped with them before - but their website looks legit and they have great prices! The more you buy, the more you save. 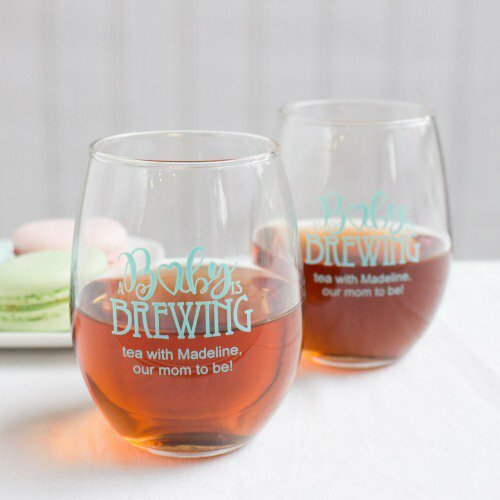 If you are looking for a sweet, simple and sentimental baby shower favor idea - this is it! 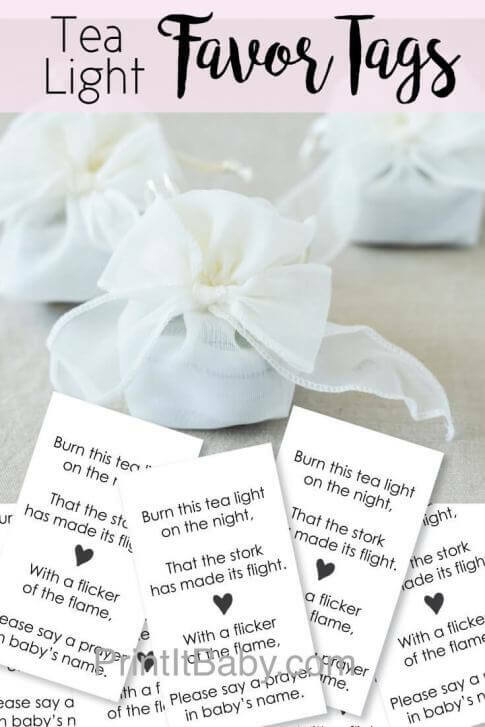 We whipped up these printable favor tags to add to the tea lite favors, which you can grab over at our shop. That the stork has made its flight. Please say a prayer in baby's name. 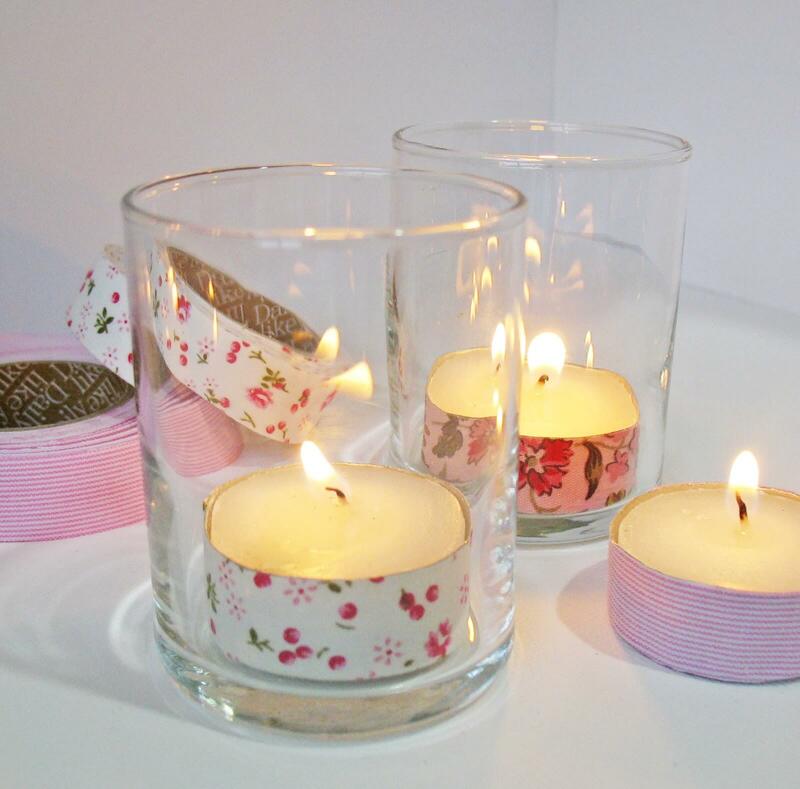 If you want to take the cuteness level up a notch, add some washi tape to the metal part of each tea light. So simple and stylish! Print these little guys and add to clothespins, straws, toothpicks or lollipop sticks. Poke into cupcakes, food dishes or use on favors! Click here to read all about these cuties! I saw this genius idea on a blog awhile back and thought I would recreate them! All you do is make a batch of cookies, tuck each one into a paper CD sleeve (which you can buy at any office store, Target, Wal-Mart, etc) and attach a "You Are Sweet ~ Take A Treat" label! I chose to make sugar cookies, because they are so good and I wanted to eat them when I was finished with the photo shoot! You could also make chocolate chip cookies and put pink or blue M&M's in them! What a perfect treat to hand out to each guest to thank them for coming! You can easily make your own on your computer. Or, I made up some printable ones that you can get in the shop. Print the labels onto a full label sheet (an 8 1/2x11 sheet that is one big label), cut out, and peel and stick onto the CD sleeve. I didn't have a full label sheet on hand so I printed mine onto a piece of copy paper and added double stick tape to the back. This worked just fine. I also added the polka-dot border using a red marker. 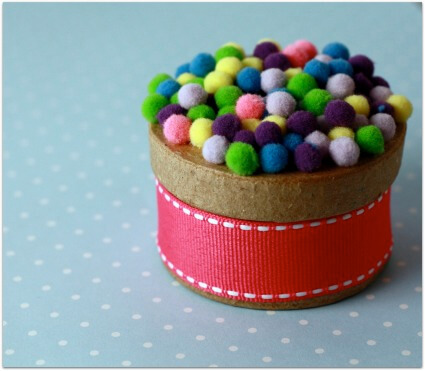 Another cute idea would be to line the border with glue and sprinkle glitter over it! 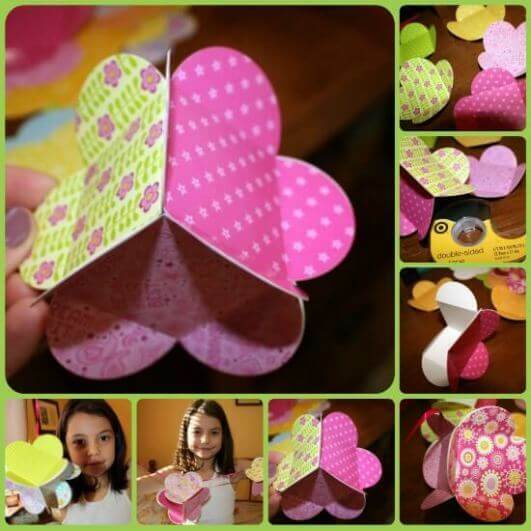 Get step-by-step instructions for making these little cuties! 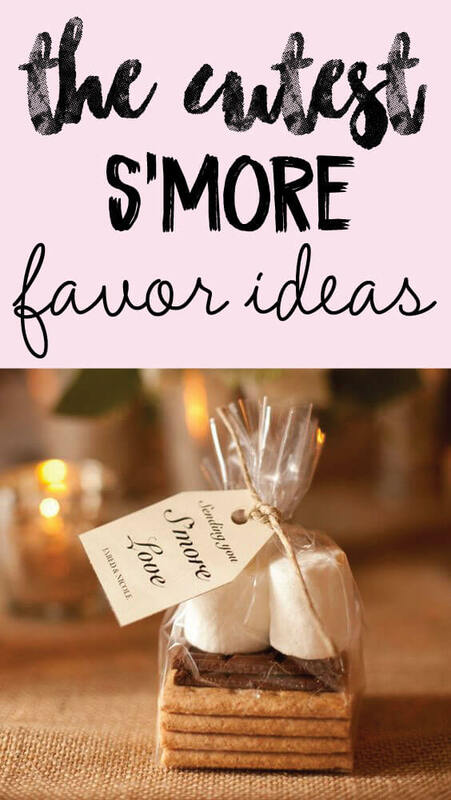 We whipped up some yummy s'mores themed baby shower favor ideas! Your guests will thank you for these! See them all here. My mom is the ultimate Holiday Bazaar shopper and she often comes home with unique handmade items that I would never have thought to make! This is one of them! Aren't these little guys cute? They looked so cute in Christmas colors, I thought "These would look adorable in baby shower colors and would make the perfect favor!" I made you a free template of the purses so you can easily make them too! - which you can print here. 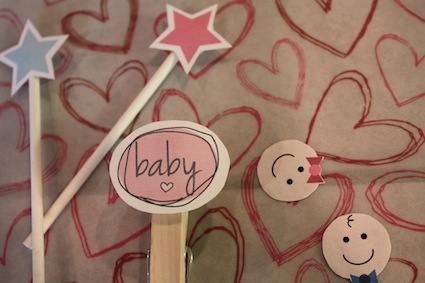 Simply print onto cute scrapbook paper to match the baby shower colors or theme. 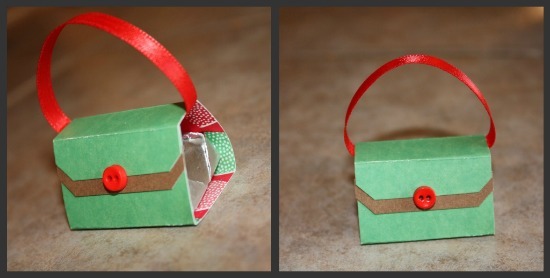 Use a little double-stick tape to keep everything nice and snug, add a ribbon handle and you are good to go! I love the cute little button that they used! I didn't have any buttons on hand so I added a little pom pom to mine. 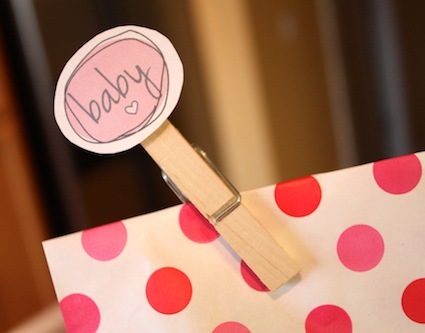 If you use a button, you could always attach a cute baby shower favor tag that says "Cute As A Button!" 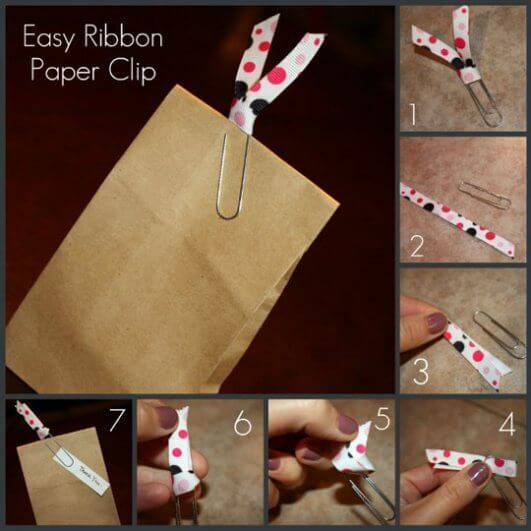 These favor bags with the ribbon paper clips make a cute presentation and take minutes to assemble! I bought mini brown paper bags and filled them with little packs of Sugar Babies. You could also put bath beads or a cute candle in them! Or use the clips as bookmarks for adorable bookmark baby shower favors! Add the favor tags below - for extra cuteness! Hop over and see all of our fun thank you tags! Print the "Thank You" tags out and slip them under the paper clip to let guests know you are thankful that they came! Click here to see all of our fun tags! 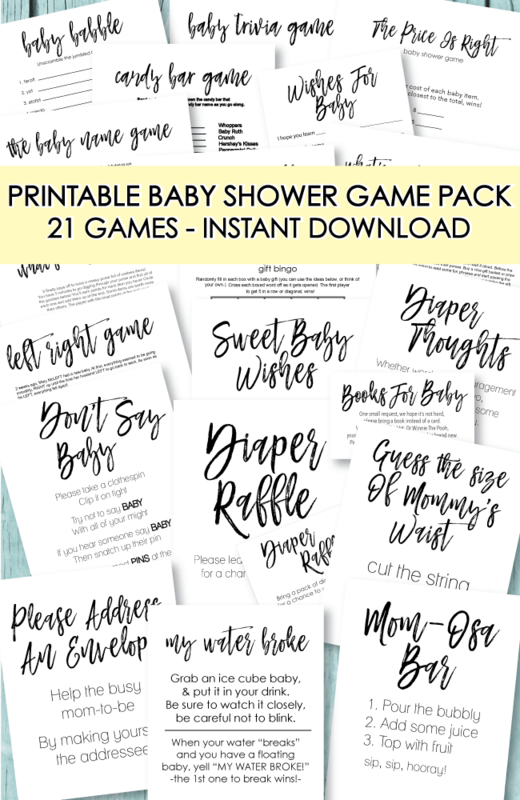 This is a clever and easy baby shower favor idea that only costs $1 per favor to make + the cost of paper! 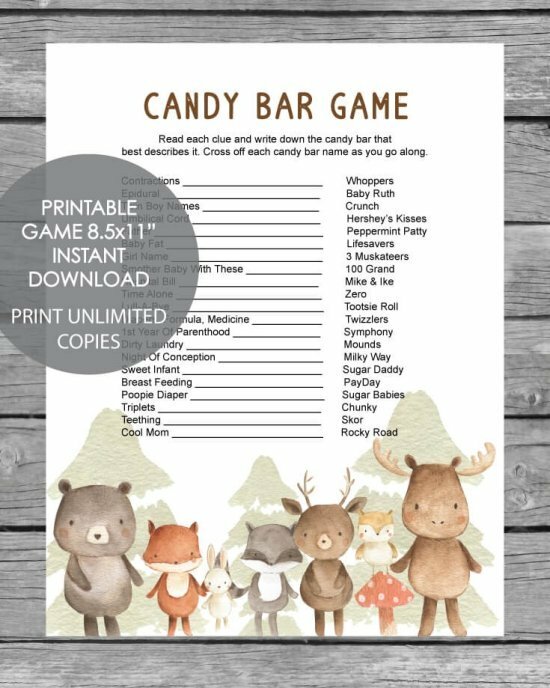 Cut cute scrapbook paper out and fold around the lottery ticket. Secure with a cute bow and add a tag that says "We are so LUCKY you joined us! Are you feeling LUCKY?" These were handed out as favors at a wedding I recently attended and the guests loved them! They were a huge hit! 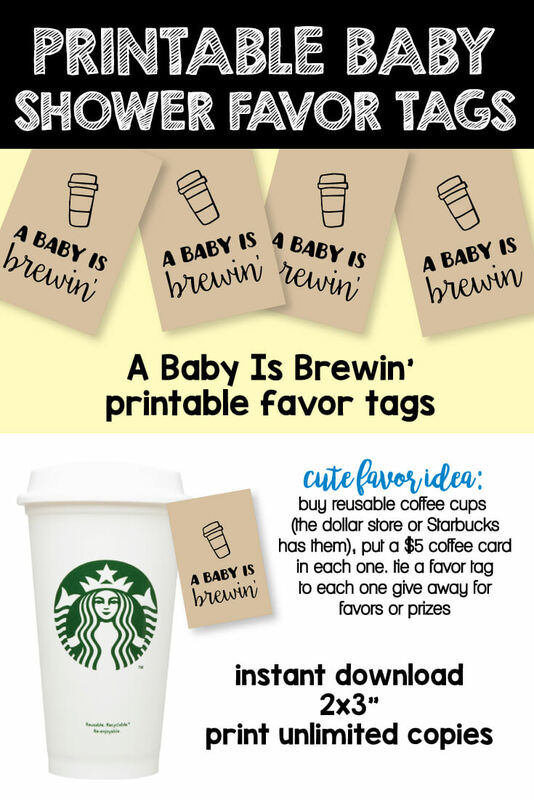 These "A Baby Is Brewin'" Baby shower tags are perfect for using for favors or game prizes! Tie around a travel mug or cute coffee mug and you're all set - guests will love them! Click the pic above to get the tags. 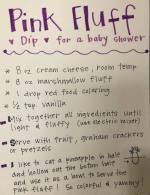 This is a super simple baby shower party favor idea. All you have to do is buy bath bombs at the store (you can get bags of 6 for around $4 at WalMart) - buy a few rolls of tulle to match the shower theme (tulle is usually around $1 per roll - so cheap!) 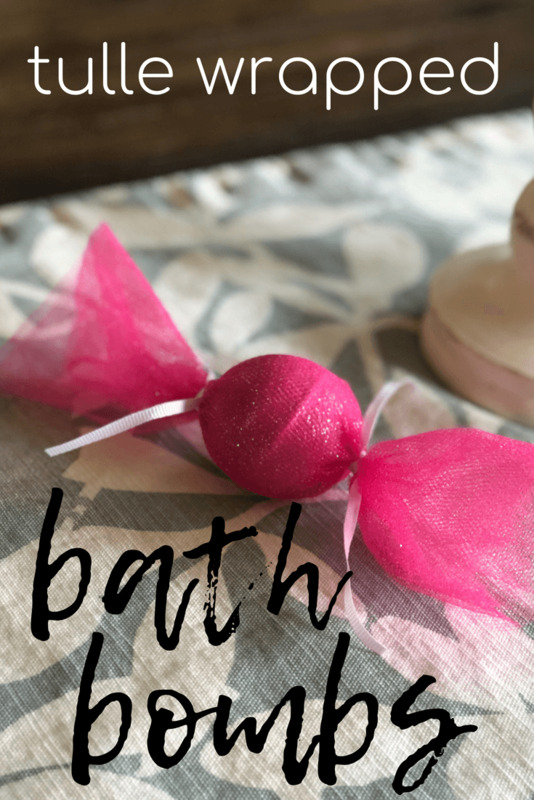 - roll the bath bombs in the tulle and tie the ends with ribbon. 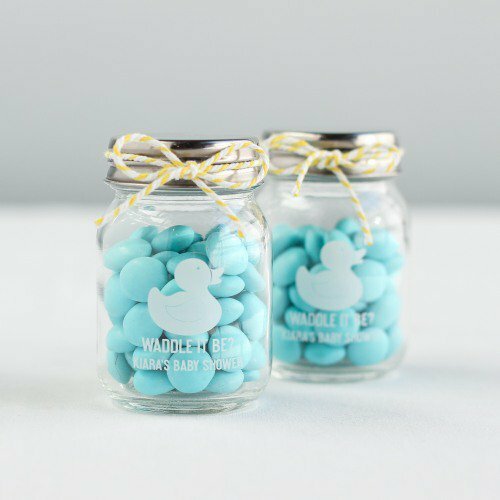 I originally posted on our Baby Shower Decorations page to be used as garland and cute decorations - but then it hit me that you can fill these little guys with candies and hand out to guests as baby shower party favors! 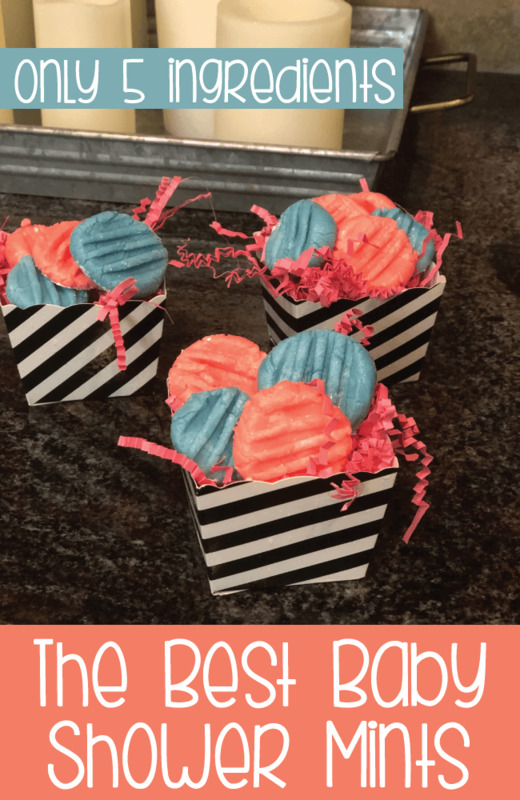 To make these baby shower favors, all you do is print the template onto scrapbook paper or colored card stock - cut out and glue (or double-stick tape) 6 of them together to make 1 ball. Put the candy or any favor that will fit, inside just before adhering the last piece of the ball. So simple and fun to make! 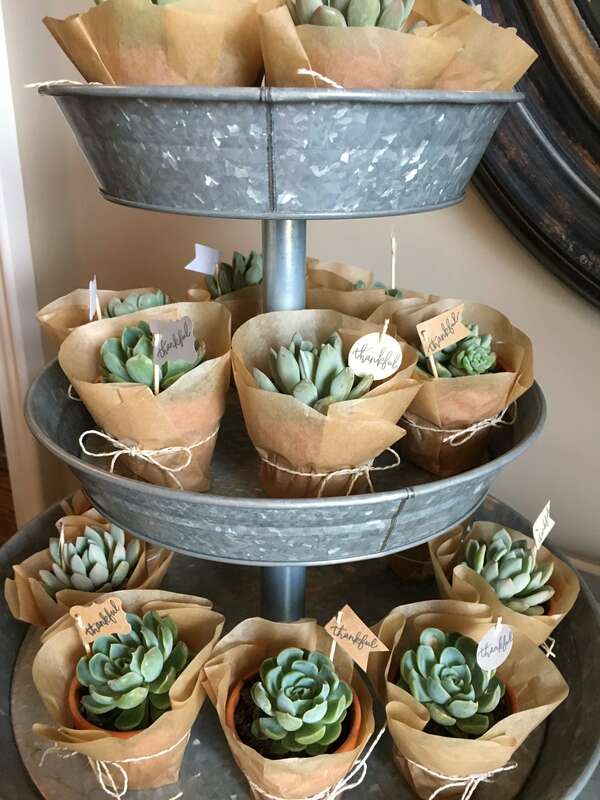 Hop over to see our cute cactus and succulent party page - and get ideas for succulent favors - we have printable sign to match the favors, too! 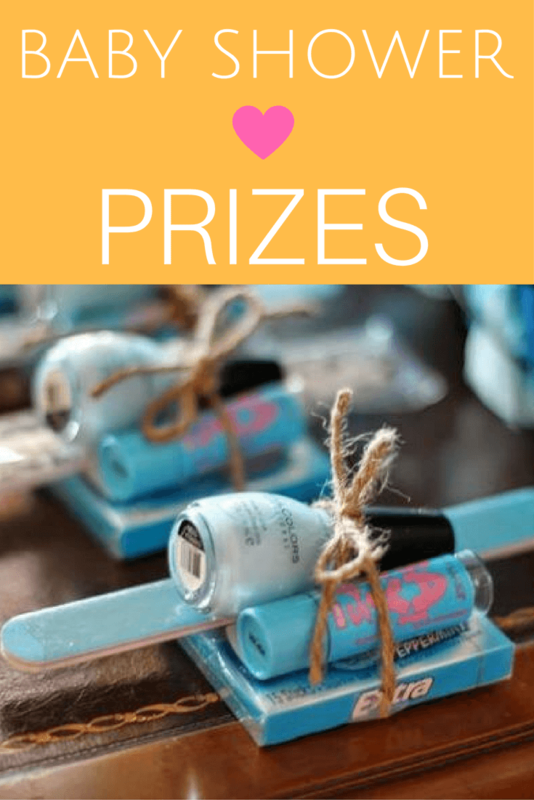 See Tons Of Cute and Modern Baby Shower Favor Ideas Submitted By Readers! Simple ideas for quick and affordable favors such as chocolates, candles, soaps, flowers, candies, CD's, and much more! Get The scoop here. 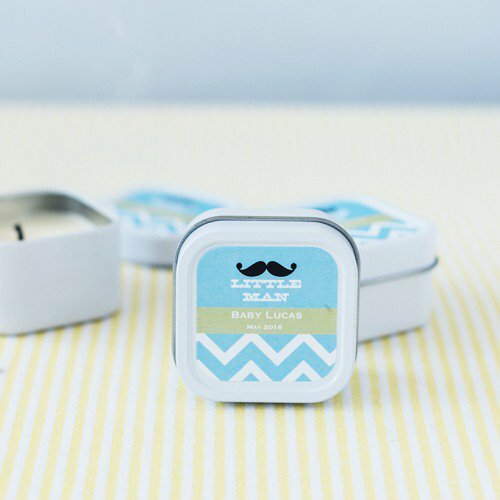 Twin Baby Shower Favors: Fun ideas to make the favors twice as nice including the popular Pea In A Pod Favors! 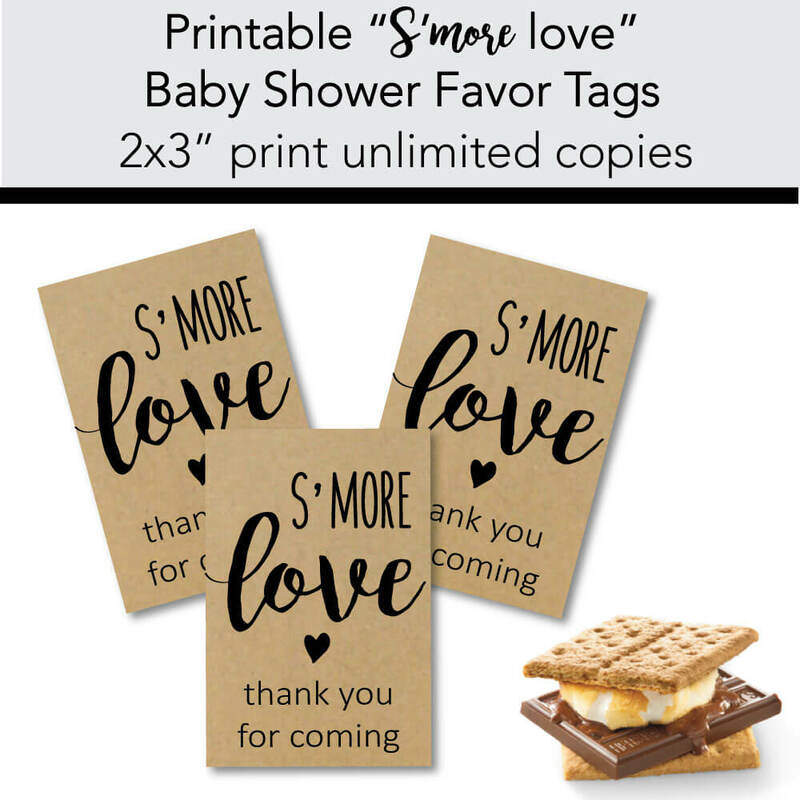 Couples Baby Shower Ideas & Favors - Simple and un-corny favor ideas for couples baby showers!